The Lakehead University Aboriginal Mentorship Program and Reach Up! 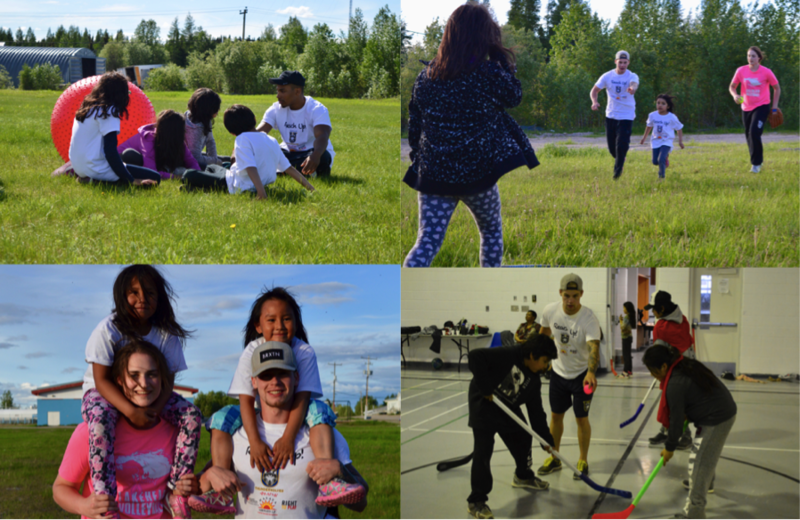 Northern Community Sport and Leadership Program traveled to Bearskin Lake First Nation on June 15-17 to spend time with youth in the area. The Aboriginal Mentorship Program (AMP) was established at Lakehead University in October 2013. Through AMP, Lakehead University mentors are able to connect with Indigenous students in Northwestern Ontario to foster a passion for life-long learning. It is an investment in Indigenous youth built on trustful partnerships to inspire and facilitate educational opportunities, employment options, and the building of capacity and sustainability within northern communities. The purpose of the Aboriginal Mentorship Program is to increase Aboriginal high schools students’ interest in a wide variety of educational subject areas; to present them with future career opportunities; fulfill their educational needs, and to provide them with educational support. On the most recent trip, Thunderwolves Matthew Edwards (men’s basketball), Jessica Korchak (women’s volleyball), Kareem Poonah (Orillia soccer) and Brett Wolframe (men’s hockey) along with Reach Up! Program Coordinator, Amanda Stefanile, and Aboriginal Mentorship Program Coordinator Lisa Harris all participated and enjoyed their interaction with the community. 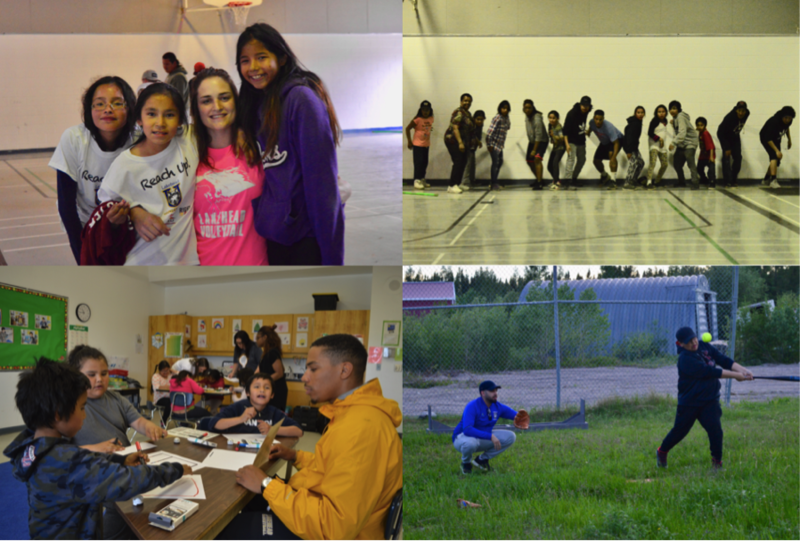 Held at Michikan Lake School, 50 youth of all ages participated in multiple activities including soccer, basketball, floor hockey, volleyball, baseball, other fun games, and activities. The AMP program also did Indigenous Cartography and Ozobots in which students are shown alternative map making techniques and talk about the application and development of indigenous maps. Students were encouraged to create their own creative map from memory or imagination and then, using Ozobots, tell a story. 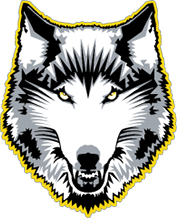 The last time the Wolves went up to Bearskin Lake First Nation was in March 2013 and, with the financial support of Wasaya Airways and The Calgary Foundation, the Thunderwolves were able to make the trip again and make new memories with the youth of Bearskin Lake. Amanda Stefanile, the Reach Up! 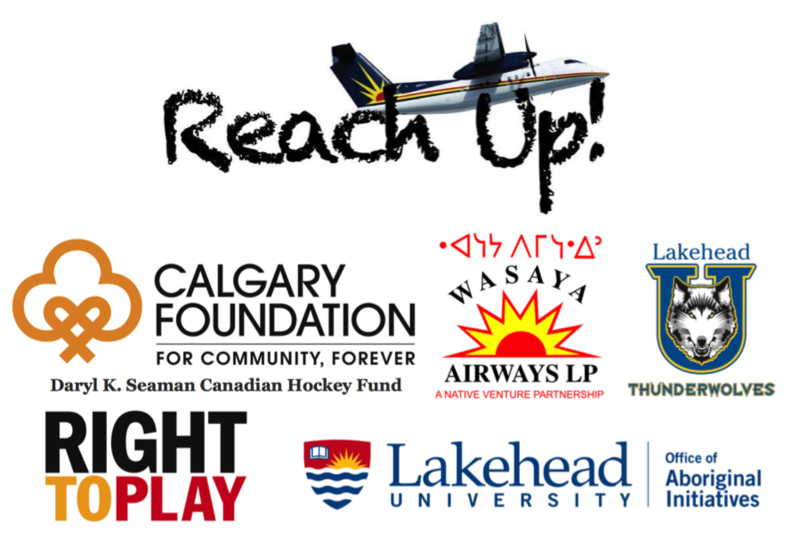 Coordinator would like to express her sincere gratitude to both Wasaya Airways and the Calgary Foundation, Daryl K. Seaman Fund, for their support with the Reach Up! program. Sharon Smith-Baxter, Manager of Communication and Marketing says Wasaya Airways is proud to be a part of such a great program.